Congratulations for 25 years of service to Garry Jones! 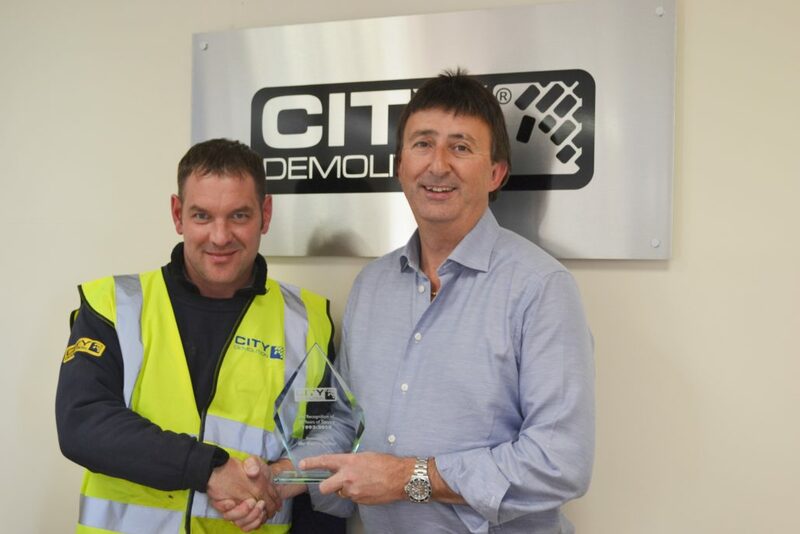 We would like to announce and congratulate Mr. Garry Jones by handing him an award for his 25 years of service working for City Demolition Contractors! ”As many of you know; Garry’s Mother & Father; Freddie & Eileen Jones formed the company in 1988, Son; Garry then later joined the team in 1993 from a young boy to now a man in 2018 where this month he will be celebrating his 25 years of service working for the company. Congratulations on this achievement Garry and thank you for your continued hard work and efforts, here’s to many more!”-Mark Doyle, Managing Director. Two former school sites, now COMPLETE! New additions to our fleet!